Listings of high school yearbooks for Marshwood High can be found below. You will find former students who are seeking yearbooks, those looking to sell a yearbook and general yearbook requests among the MHS yearbook listings. This yearbook section was created to help alumni post yearbook classifieds. I moved to Fl. in summer of 1966 & spent my senior year there. Graduating in 1967. 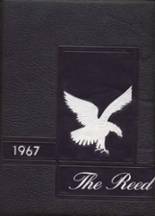 I lost my Eliot High School yearbook for 1965-66 & would love to get a copy of it. It was not Marshwood High School at that time. I know it is probably next to impossible, but you know the saying, nothing ventured nothing gained.